Hi! I am Gabriela and this is my virtual home. I am a self taught cook and a trained Pastry Chef. I grew up in Romania during a very difficult time in communism. Life was hard but family was always very important. I moved to U.S. many years ago and now I live in Minnesota, a very cold but cool state. Despite the harsh environment, long winters and short hot summers, I think this place suits me. My maternal grandmother is the one who I inherited the cooking genes from. 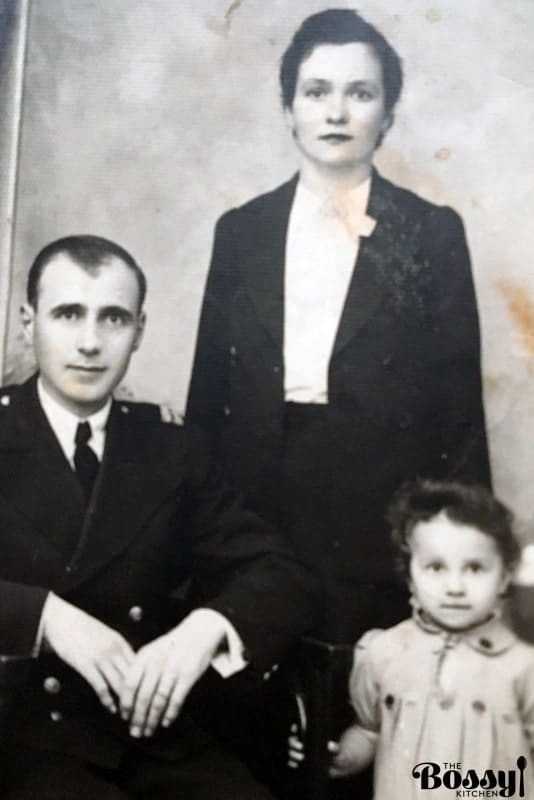 In this picture you can see her, Elisabeta, together with her husband, my grandfather Nicolae and my mom, Victoria, who I believe was about 5 years old when the picture was taken. 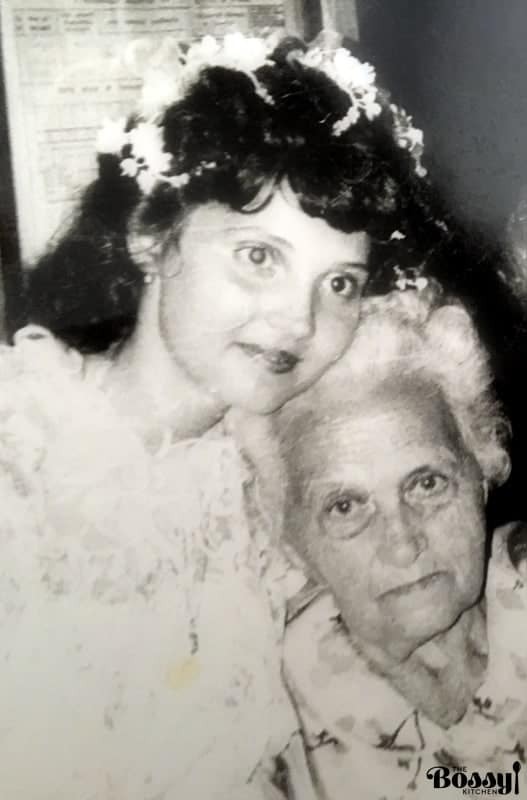 This is also her, my grandmother, later in life, after I was born. She is holding me in her arms. I will always remember my summer vacations at her house while growing up, the good times and her amazing food. Here is an easy, delicious recipe of French Fries that reminds me a lot of her food. 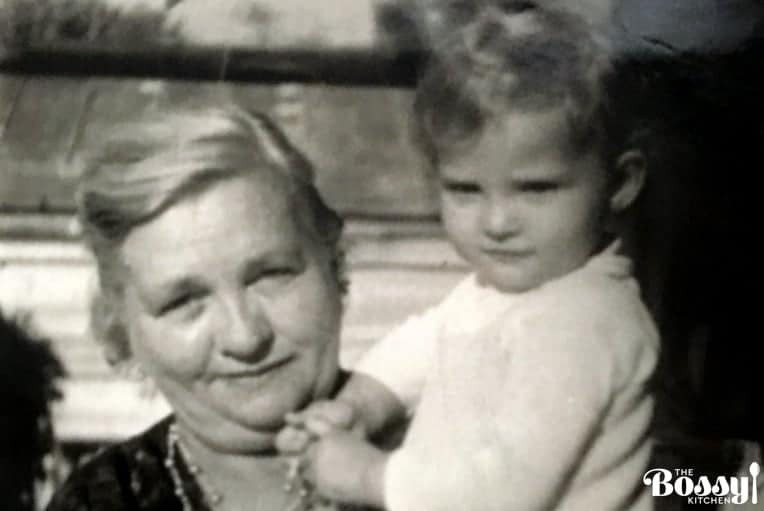 In the picture below is my paternal grandmother Herta, with me. 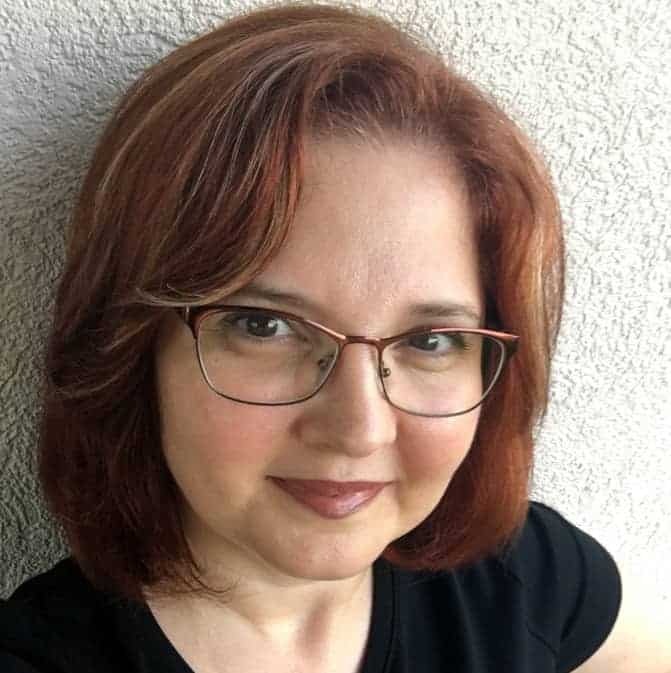 Herta lived in Transylvania and had German heritage. She emigrated to Germany when she was 84 years old, back in 1995, together with my paternal side of the family. She was a very strong lady and despite the fact that she moved to Germany at such an old age, she never forgot her roots. Herta used to travel back and forth between Germany and Romania, spending winters in Germany and summers in Romania for a number of years. She passed away at 94 years old. I think I inherited the love for baking from her. Her German cookies and pastries were to die for. Here is one of the recipes that reminds me of her baking. 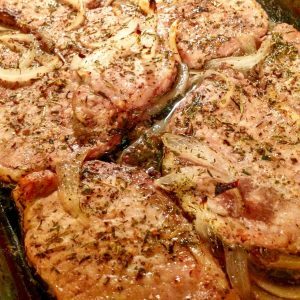 Coming from a country that was under a lot of oppression and food was scarce for many years, I learned to love easy, simple recipes that use processed-free ingredients and common sense. 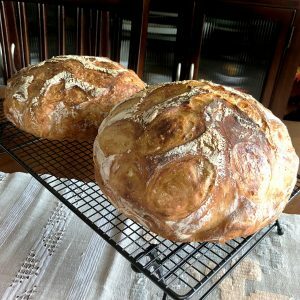 My cooking and baking style is mostly European, but you will also find recipes on my blog from other parts of the world. 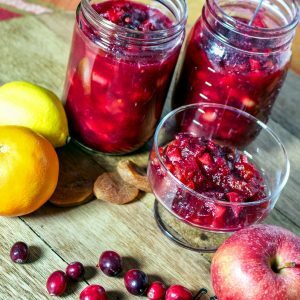 I am also fascinated by old recipes, because I believe that in the past people used to eat healthier and more in season. For that matter, I have a unique perspective when it comes to food. My mother, for example worked full time, but we always had cooked food on the table. We also did not have supermarkets, boxed foods or processed ingredients. We had to cook and bake with real ingredients. We ate a lot of leftovers as my mom would cook on Sundays enough food to last for 3-4 days. When I grew up and then got married, I also did the same thing. No cooking meant no eating. Also, cooking on weekends made our life easier during the week. 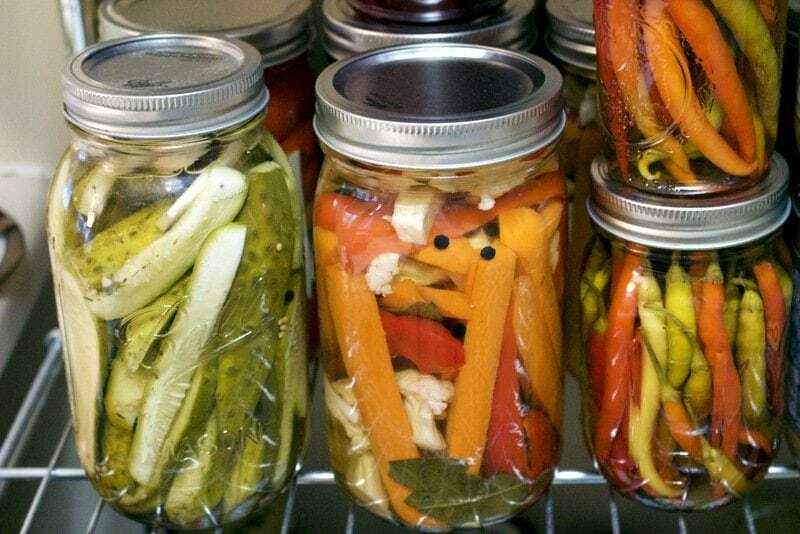 Canning meats, vegetables or fruits was a way of life. Everyone was very busy in the fall canning vegetables and fruits, pickling cucumbers, or making sauerkraut. The rest of the winter was spent enjoying the fruits of the labor. 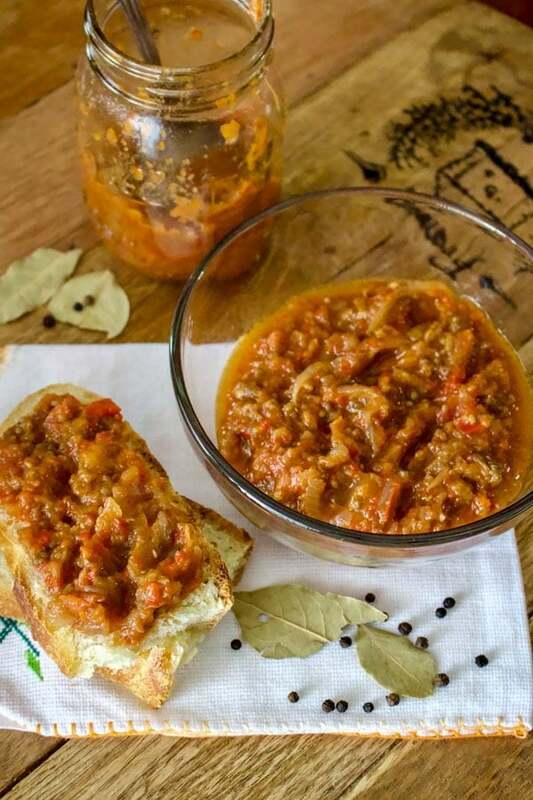 Zacusca- the traditional Romanian vegetable spread was to die for. 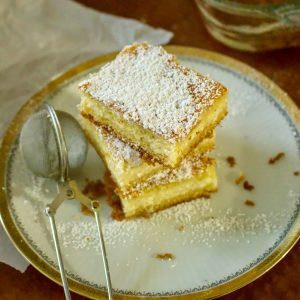 Most European desserts are less sweet than the American ones and that is reflected in many recipes you will find on my blog. Most people in the States will find them very different. Europeans put a lot of emphasis on flavors and taste versus sweetness. Because I understand that cooking in bulk once or twice a week is not everybody’s cup of tea, I decided to share recipes that can be made easily not only over the weekend, but also during the week. On my blog, you will find recipes made from scratch. I wanted to show you that you can drop all the boxes of cake mix, canned soups, non dairy whipped products and other things that your body cannot deal with and use REAL ingredients. Lots of people are shocked when they learn that it is not that expensive to eat well and healthier and moderation is key. Do you read the labels when you shop for food? I do! A lot! I need to make sure that I know what I put inside my body. I also believe that cooking is love made visible, so how do I show you my true love if I feed you junk? Where is my responsibility in the kitchen towards my family if I feed them a product from the store that has aspartame, propylen glycol, red 40 and yellow 5 in it? That is not real food, people! For that matter, even when I bake, I try to avoid coloring buttercream or glazing cookies and cakes with crazy food colors. 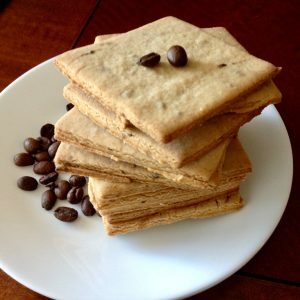 Sometimes you will find on my blog recipes that are naturally gluten free, vegetarian or vegan. I don’t think I can be a vegetarian and I could never give up gluten. I love meat, especially pork, as I grew up with it. Salami, sausages, bacon…oh yes! People look at me like I come from a different planet when I tell them that I grew up eating sandwiches with lard, salt and pepper for lunch, while in school. However, ask any German, for example, what they think about schmaltz!! Totally great in moderation! If you are still here and like what you see on this website, please feel free to follow me on social media, Facebook, Instagram, Pinterest and Twitter. Also, make sure you sign up for my monthly letter where so you can receive new and old recipes from the blog. Thank you for visiting my blog! I really hope you will come visit once in a while and join me in my culinary adventures! For more information about me and what I am doing, please visit the FAQ’s page. If interested to work with me, please visit “Work with me” page.